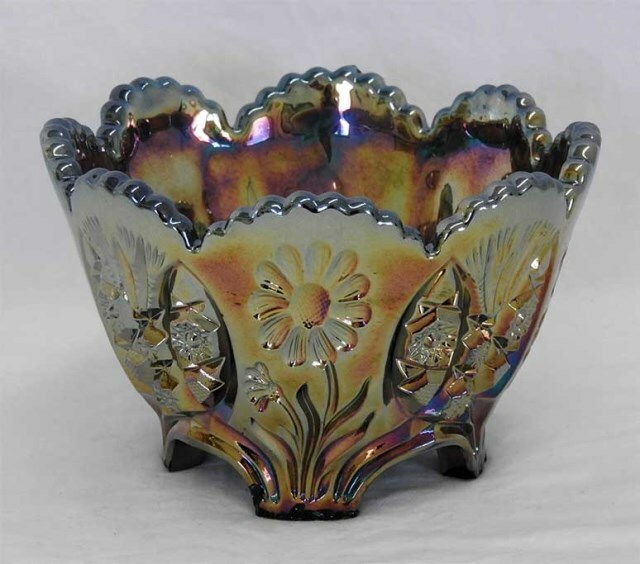 Sunk Daisy has an intaglio (cut into the surface) pattern of three daisies separated by hobstar and fan designs. 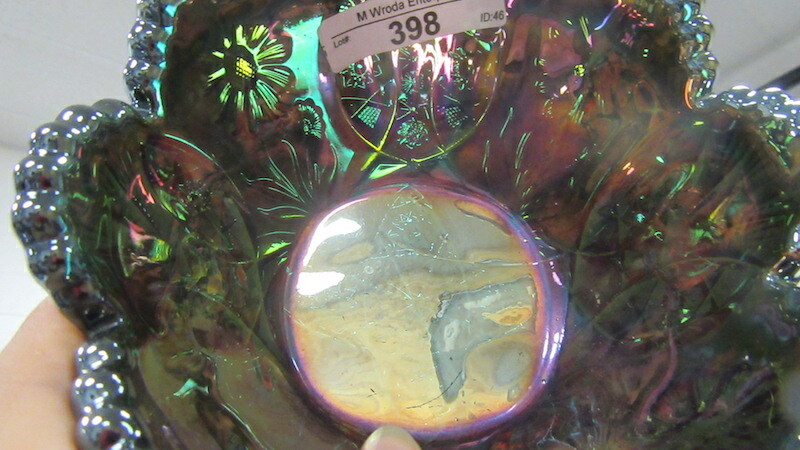 The four feet are distinctive. 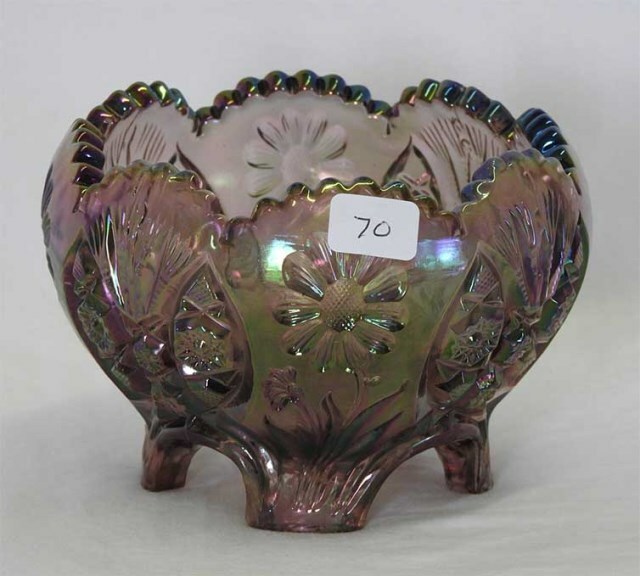 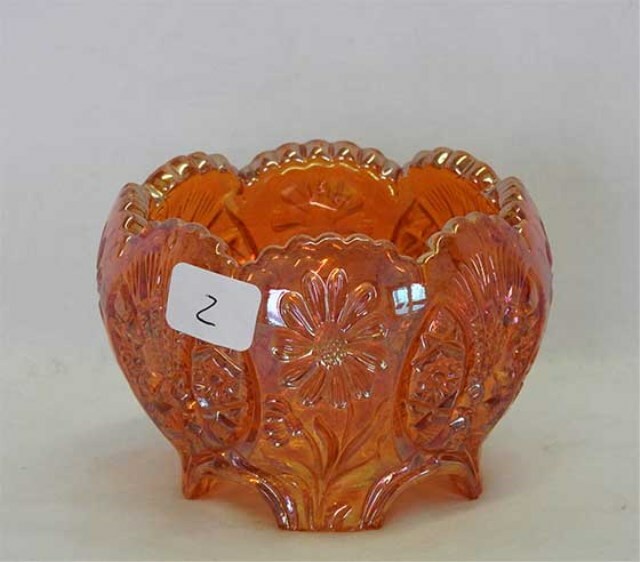 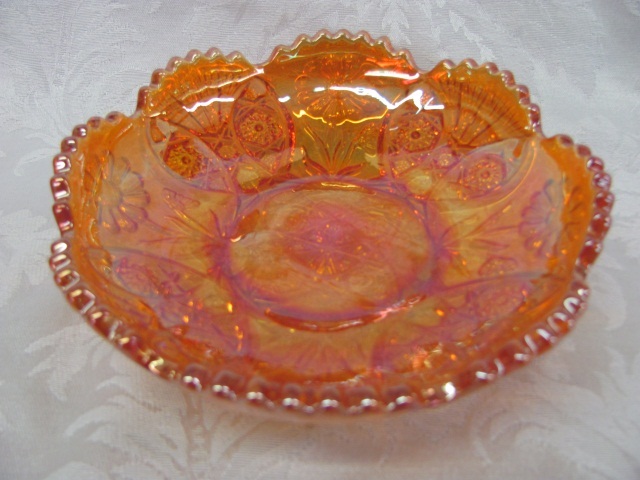 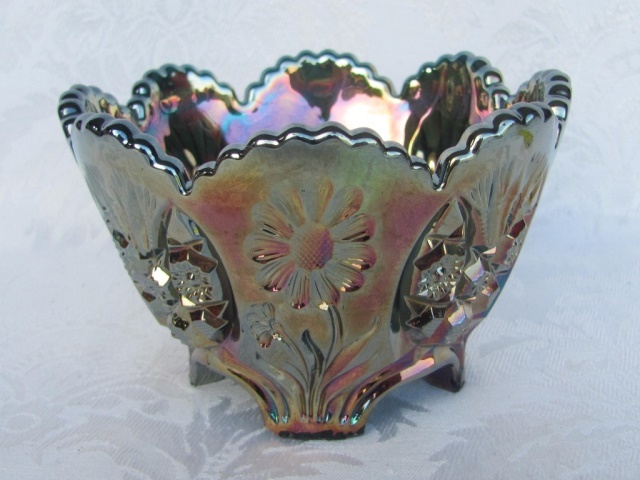 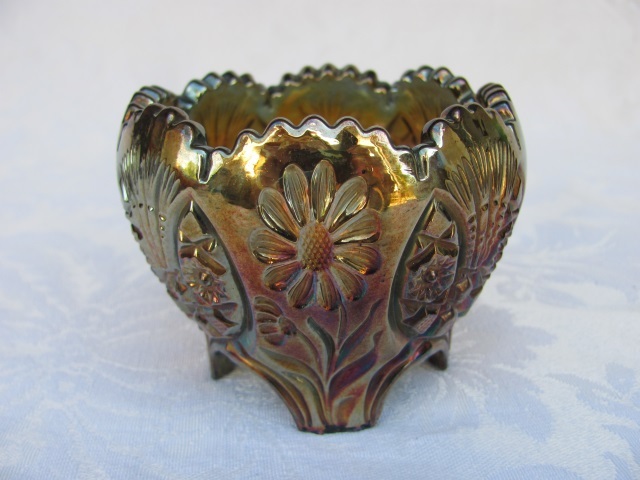 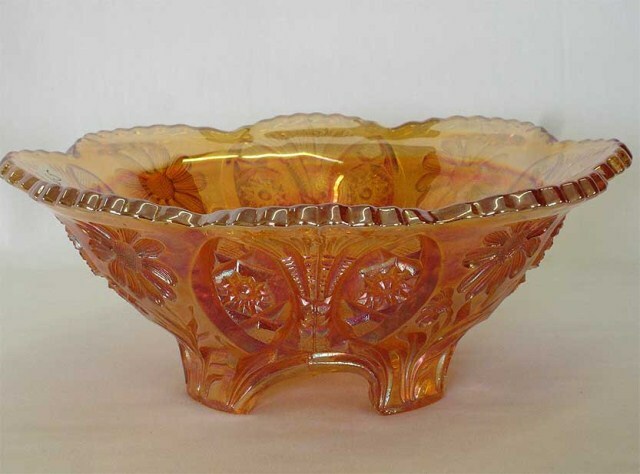 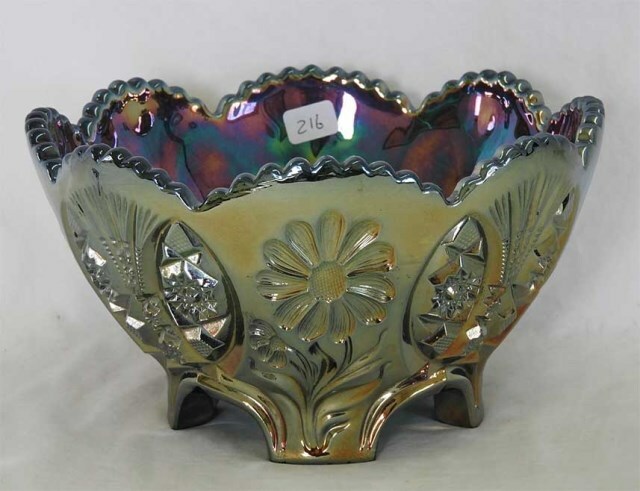 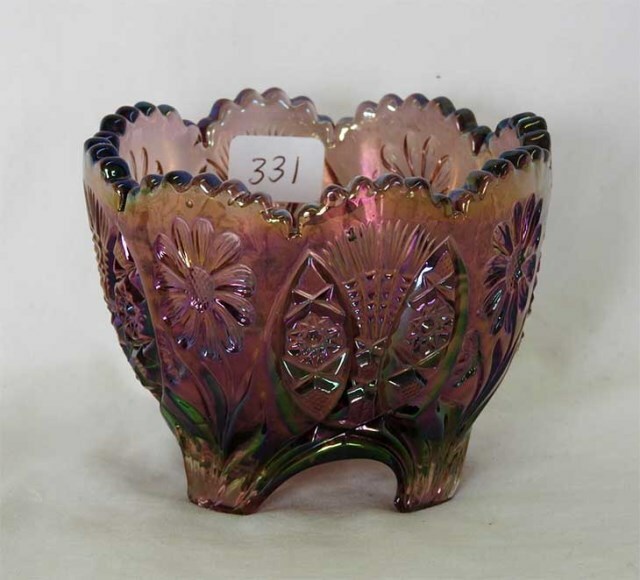 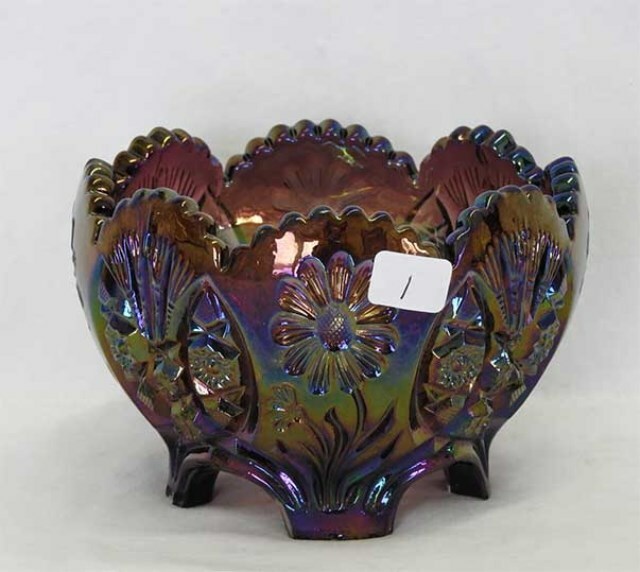 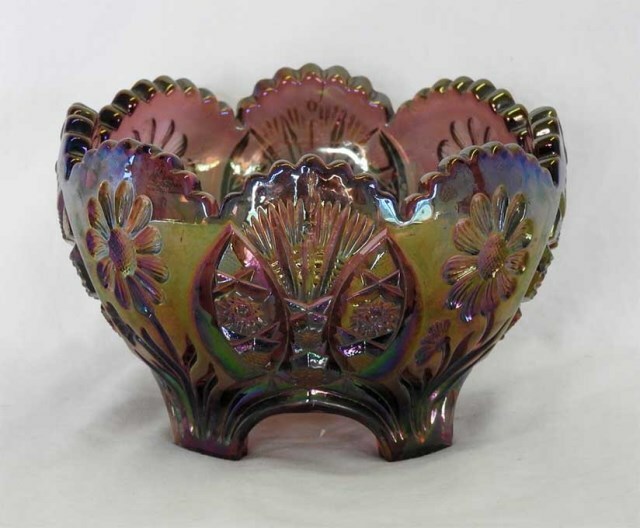 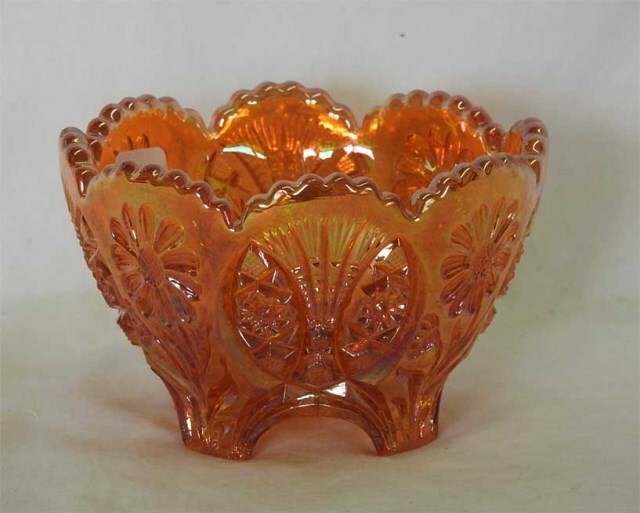 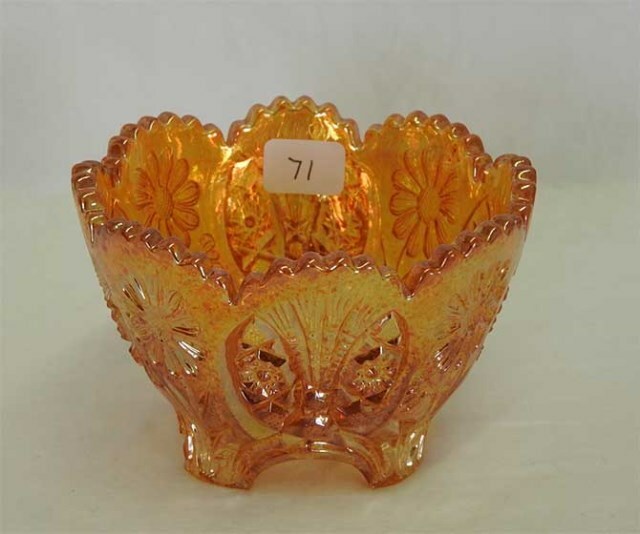 It is believed that the design originated with the Cambridge Glass Company in the U.S., but that Eda of Sweden and Riihimaki of Finland made some of the iridized pieces found today.